Like it’s neighbors California and New Mexico, Arizona is filled with butterflies. The mountains of the north and the deserts of the south support two sets of butterflies species making the state butterfly diverse. The Sonoran Desert, for example, hosts 250 butterfly species. 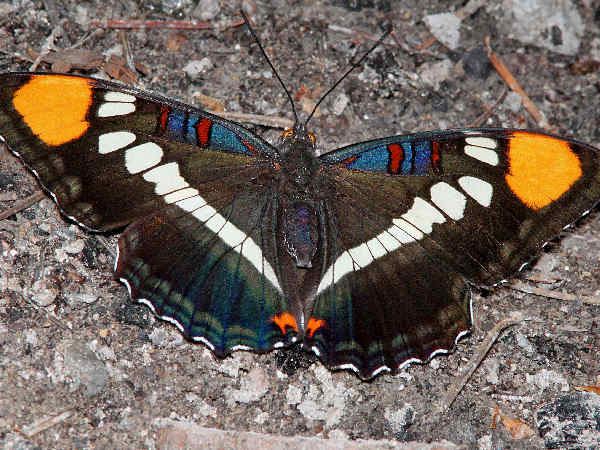 Many are well known species in the Southwest such as the Queen butterfly. Others such as the Chiricahua White in the top picture are a must see species, endemic to the region. This introduction to Arizona Butterflies presents a list of species divided according to families and consequently often wing color. Visitors looking for additional butterfly pictures and identification help are invited to press the green butterflies button. Arizona butterfly diversity ranks second to none in the United States. Mountains in the south and north along with desert and generally warmer winters makes it a butterfly haven for many butterfly species common across the country along with regional specialties. Arizona also hosts almost every yellow butterfly species. The list has twenty of them. 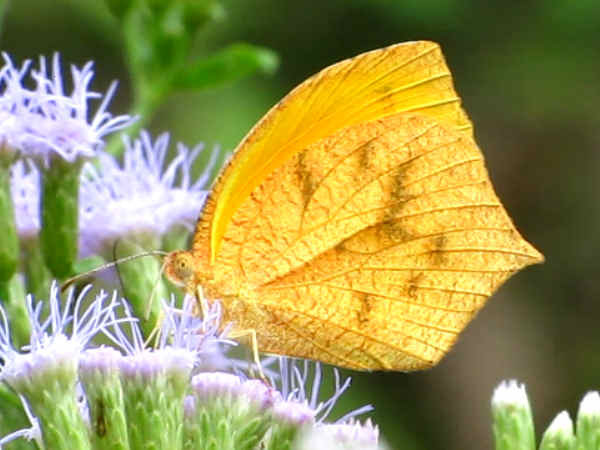 The picture shows a Tailed Orange butterfly. Photographing and documenting the three dozen white and yellow butterflies would be enough to keep any tourist happy for weeks. 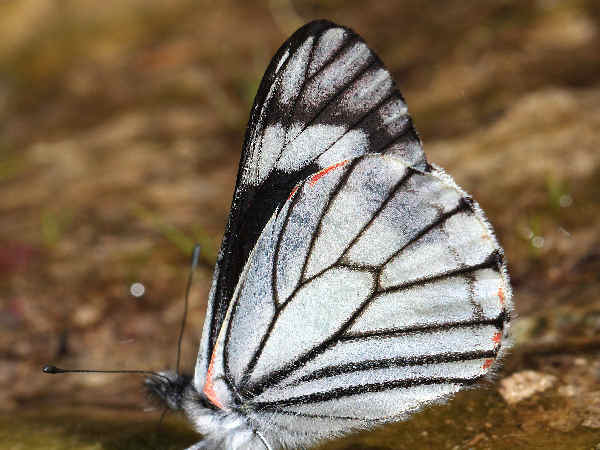 In addition to the Chiricahua White, the list of white butterflies includes some other regional specialties. 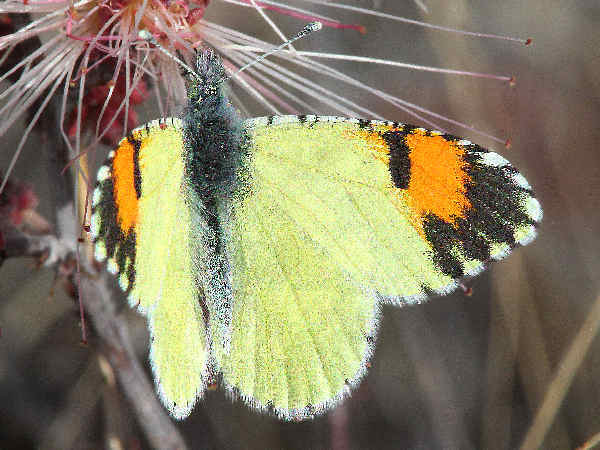 The picture shows a Desert Orangetip. Arizona butterflies also means gossamer-wing butterflies. 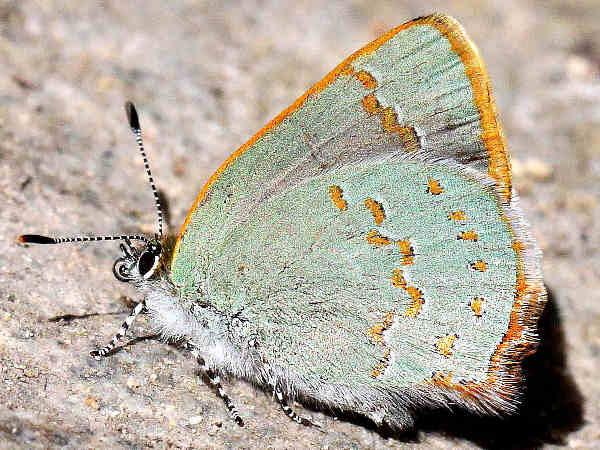 Family Lycaenidae divides into three groups, the blues, hairstreaks and coppers. The list shows over five dozen different species, so tourists will need an extended stay to insure they can even find and photography a small portion of them. The picture at the top of the section shows a Leda Ministreak. It’s a Southwest specialty. 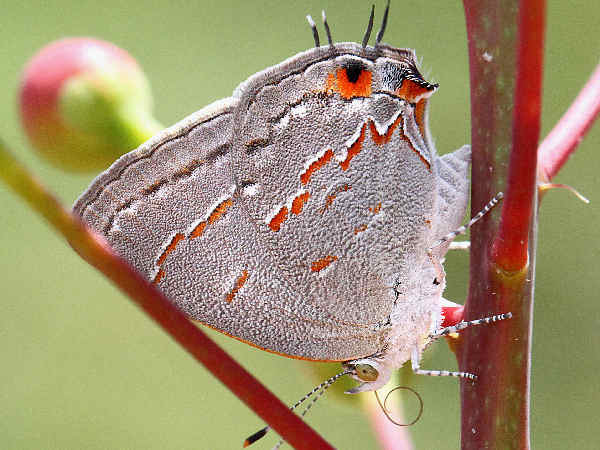 This next picture shows an Arizona hairstreak, a state namesake with a beautiful set of green wings. 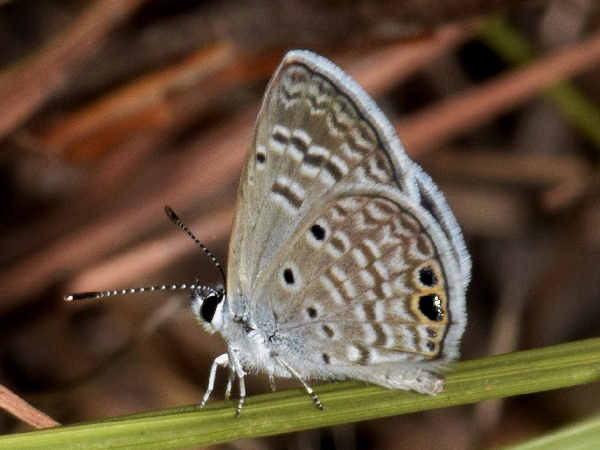 When it comes to the blue butterflies, unless you are an expert it will be a very difficult challenge to sort through all the Dotted-blues in the state. The other blue butterfly species are fairly easy to identify. The picture shows a Ceranus Blue butterfly. Almost one hundred brush footed butterflies call Arizona home. So many butterflies, so little time to find them all. Even hearing about the dozen Crescent species sounds a bit strange to seasoned butterfly watchers. The picture shows an Arizona Sister. It’s related to the California Sister on the West Coast and the Band-celled Sister in Texas. 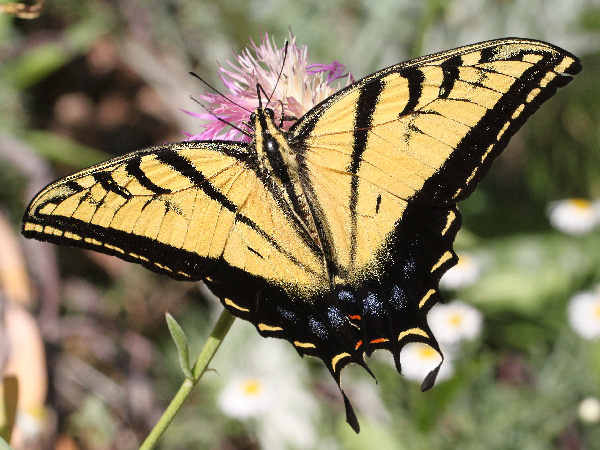 Arizona’s warmer climate makes for a diverse Swallowtail butterfly population. Over a dozen different species are documented. The picture shows a Two-tailed Swallowtail, the official state butterfly. They do lack the Parnassian species, because they are the more cold hardy of the swallowtail family species. Many first time visitors to Arizona mightbe a bit confused about the identity of some rather ordinary looking butterflies, the Metalmarks. Metalmark butterflies are mostly a sub-tropical and tropical family. Metalmark diversity is at its highest in the Southwest. 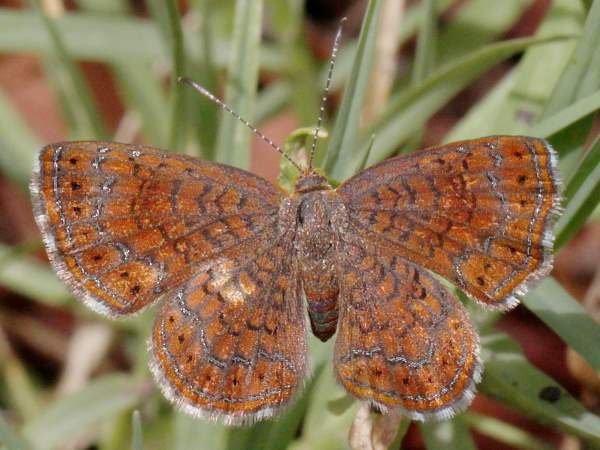 Arizona boasts over a dozen different species, including the Arizona Metalmark in the picture. Here’s the list.